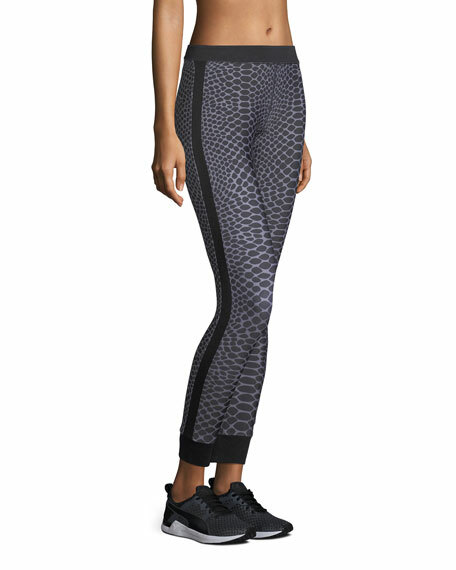 Monreal London "Athlete" leggings in compression fabric with Silver Reptile print. 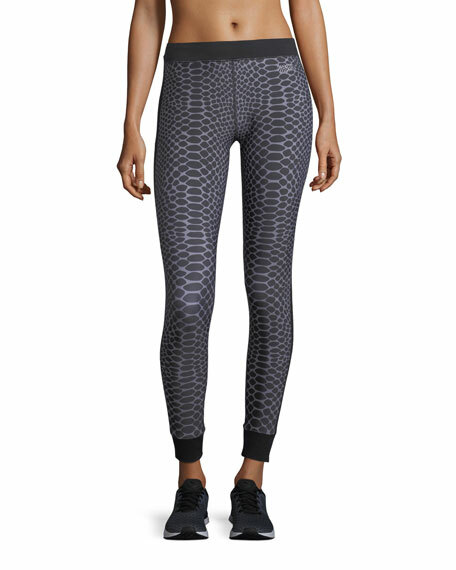 Moisture wicking, quick drying, 4-way stretch. 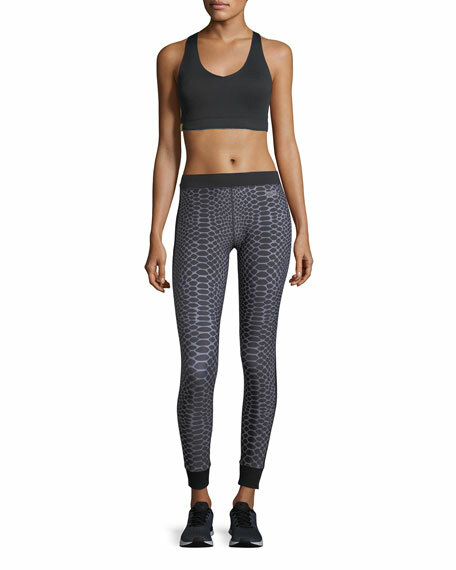 For in-store inquiries, use sku #2466948.